Drop me an email if you know of any good links I haven't listed here! Lady MacPhisto's Lair – the original dedicated MacPhisto website. Contains information from the Flanagan Bible about MacPhisto's origins, quotes and a selection of pics. U2 At The End Of The Net [archived] – more phone call MP3s including Rotterdam, Berlin, Verona, Bologna, London, Adelaide, Sydney and Tokyo. U2start.com – another source for MacPhisto MP3s (as well as The Fly's infamous pizza order and a number of phone calls by the Mirrorball Man). If you register with the site, you can also download many entire concert bootlegs (both audio and video) for free. Check out the ZooTV and Experience + Innocence photo galleries, too. Bonofan's U2 Downloads [archived] – many concert DVDs and audio available for free. You will need to register and make 10 posts on the forums before you can access the downloads. Noise! The Web's Largest U2 Sound Archive [archived] – a quite extraordinary collection of U2 audio clips, ranging from the profound to the hilarious. MacPhisto has his own section, which includes a few complete phone calls as well as some of the classic quotes. U2 Concert Transcripts [archived] – entire shows painstakingly transcribed! These include Rotterdam 9/5/93, Cologne 12/6/93, Leeds 14/8/93, Dublin 28/8/93 and Tokyo 10/12/93 from the ZooTV Tour. Luminous Times – the blog of U2 fan Sue Fell (a friend of A Grand Madness author Dianne Ebertt Beeaff), which includes her recollections of Zooropa concerts Rotterdam 9/5/93, Cologne 12/6/93, Glasgow 7/8/93, Glasgow 8/8/93, London 11/8/93, London 12/8/93, Leeds 14/8/93, Cardiff 18/8/93, Dublin 27/8/93 and Dublin 28/8/93! "ZOOROPA! MY ZOOROPA! ": U2's Critique of Europe in the 1990s – Master's thesis by Finnish student Katri Hannula, July 2011. Discusses MacPhisto's use of irony in his speeches and telephone calls, focusing on the shows in Copenhagen, Oslo, London, Dublin and Sydney. MacPhisto At 25 – Sherry Lawrence's @U2 article marking the 25th anniversary of MacPhisto's public debut. Describes his role on the ZooTV Tour and in the Hold Me Thrill Me Kiss Me Kill Me video, his surprise reincarnation on Jimmy Kimmel's (RED) special, and his "sinister second coming" on the Experience + Innocence Tour. Sympathy for MacPhisto: Finding Apocatastasis in U2 – essay by Daniel DeForest London, an Episcopal priest, exploring the "theme of radical inclusion that runs throughout U2's career" and how MacPhisto's performances of With Or Without You, Love Is Blindness and Can't Help Falling In Love "revealed the beauty in the most demonized figure of all". Devil's Shoes [archived] – an article by KimKat, lead vocalist of the U2 webzine 'Madness Central', explaining her theories about MacPhisto's character in relation to The Screwtape Letters. U2 Goes Across The Threshold With Bespoke Pop Art – Scott Calhoun's @U2 article detailing the literary references and possible messages in the EI Tour's intermission video, which features MacPhisto as a "mysterious stranger" bearing gifts and advice. Resurrecting MacPhisto – U2.com's interview with designer Marc Wakefield about the development of the MacPhisto AR filter used on the Experience + Innocence Tour. Everything You Know Is Wrong: Angel in Devil's Shoes – Italian blog post by Gabriel Cillepi, analysing MacPhisto's character and providing translations of his speeches and phone calls at each of the shows in Italy. See also 'Acrobat' and the return of MacPhisto (exploring what he represents in both 1993 and 2018), and MacPhisto returns to Italy (translating and analysing his 2018 speeches in Milan). One of my favourite bands: U2 and Mr MacPhisto – Spanish blog post by Corina G., explaining how MacPhisto taught young people about the political situation in the world at that time. U2 ZOO Station Radio: Desire – Lieutenant's analysis of Desire, particularly MacPhisto's interpretation of the song on the Zooropa tour. Song Of The Day: Can't Help Falling In Love – discussion of the amazing live performances of this song on the ZooTV tour, led by Kat (bonoffee). Song Of The Day: Daddy's Gonna Pay For Your Crashed Car / Lemon / With Or Without You / Love Is Blindness / Can't Help Falling In Love – discussion of MacPhisto's performances on the ZooTV tour (particularly the Sydney DVD), led by Annie (canadanne). Bono's Enchanted Laundry Hamper [archived] – MacPhisto is featured on this amusing website dedicated to analysing Bono's fashion sense. U2 Interview Archive – Dave Fanning interviews The Edge just before the Dublin gigs in 1993. Around 25 minutes in, they discuss how The Fly, the Mirrorball Man and MacPhisto were developed, and how MacPhisto has allowed various songs on the Zooropa Tour to be approached in a new way. Bono's Personas [archived] – a page explaining the evolution of The Fly, the Mirrorball Man and Mr MacPhisto. Like A Video: Welcome to Zoo TV, Y'all! – Marylinn Maione's @U2 article about Bono's ZooTV characters The Fly, the Mirrorball Man, Mister MacPhisto and the Commando. U2 Brasil: Bono's characters on Zoo TV – Portuguese article by Vivianne Nunes about The Fly, the Mirrorball Man and "our favourite demon" Mr MacPhisto. A Nice Bunch of Guys [archived] – Tracy Anderson's psychological analysis of Bono's different personas, based on Carl Jung's archetype theory. "The Fly" On The Stage [archived] – 1995 paper by Samuel R. Smith, reviewing and analysing the "new U2" as seen on the ZooTV Live From Sydney video. Alter-Egomaniacs: Singers and Their Split Personalities [archived] – AOL's music site Spinner discusses MacPhisto in a feature about singers who have adopted a second persona. TIME: Top 10 Alter Egos – MacPhisto is at No.6 in TIME magazine's list of their favourite celebrity alter-egos. The Daily Beast: Celebrity Alter Ego – the news and pop culture website explores the subject of "pop stars who have multiple personalities", with MacPhisto hailed as the "most notable" of Bono's ZooTV personas. NME.COM: 25 musical alter-egos – the NME website recalls more artists who have employed alter-egos over the years, including Bono's three ZooTV characters. Diffuser: Coolest Costumes in Rock – MacPhisto's look is praised in a list of "bands that have been known to play dress up over the years". They also describe some of his '90s activities in an article about his revival on Jimmy Kimmel Live! in November 2016. Bono? Nope, That's Mr. MacPhisto: 10 of Music's Most Bizarre Alter Egos – MacPhisto is the headline act in another list of music's "strangest and most memorable alter egos", featured on both The Atlantic and Flavorwire. Divided Souls: Musical Alter Egos – MacPhisto and his predecessors feature in this blog post on Songfacts.com. Rolling Stone: 50 Things Millennials Have Never Heard Of – Mister MacPhisto appears in the magazine's list of "cultural artifacts" that twentysomethings supposedly don't know about. See also their article about his 2016 comeback, performing 'We're Going To Hell' on Jimmy Kimmel Live! From Kiss to Ziggy Stardust: The most famous rock characters – Spanish blog post on Chilean fashion website Viste la Calle about the striking looks chosen by singers, including the Elvis-influenced Fly and MacPhisto. Celebrity Alter Egos: Check out the stars that sometimes embrace a split personality – photo gallery on TVGuide.com, naturally featuring MacPhisto and The Fly. Answers Celebs: The 10 Weirdest Music Alter Egos – Mister MacPhisto "the diabolical aristocrat" features in this list of "the greatest alter egos to ever grace the stage". Complex UK: The 20 Best Alter Egos in Pop Music History – Complex magazine names MacPhisto as the most memorable of Bono's ZooTV characters. TheRichest: 10 Musicians With Surprising Alter Egos – this list includes MacPhisto at No.8, mentioning his appearances on stage and in the HMTMKMKM video. TicketNetwork Blog: Top Five Alter Egos On Stage – MacPhisto is at No.4 in this countdown of the TN team's favourite performers who "stepped out of themselves to put on a new face". CareerAddict: 5 Artists With Fascinating Alter Egos – Bono's three ZooTV personas are among the "extraordinary alter egos" discussed in this article. Esquire: 50 Photos of Bono Being Bono-y – MacPhisto is included in the magazine's light-hearted slideshow of things you do when you're Bono. Petiscos: Bono brings character MacPhisto back – Portuguese article on a Brazilian fashion and culture website, remembering MacPhisto's ZooTV phone calls and critiquing his new look on Jimmy Kimmel Live! Salon: U2 isn't radical now – a review of the political content on the North American leg of the Experience + Innocence Tour, including descriptions of MacPhisto's 1993 and 2018 incarnations and his recent speeches. Mr MacPhisto The Divine – a summary of who MacPhisto is and why he's so great! The Devil You Know – blog entry looking back on Zooropa and the ZooTV tour, focusing on MacPhisto in particular. Most Wanted – MacPhisto is named as an ideal guest star for the TV series 'Angel'! TV Tropes – Mr. MacPhisto is mentioned as one of Satan's alternative names, and is listed as an example of Rock Me, Asmodeus!, Flaming Devil, Louis Cypher and Large Ham. He also features in the U2 section: listed on the main page as an example of 'Camp' and 'Man of Wealth and Taste', on the Awesome tab for his appearance with Salman Rushdie, on the Funny tab for his phone calls, and on the YMMV tab as a suggested example of 'Crosses the Line Twice' and 'Nightmare Fuel'. His role in the Hold Me Thrill Me Kiss Me Kill Me video is mentioned under Video Full Of Film Clips. RevU2: The U2 Podcast – U2 fans Jonny and Tyler discuss the ZooTV era and review the Live From Sydney DVD. Includes a conversation about MacPhisto at 48:24, a mention of his proposed role in Batman Forever at 1:10:13, thoughts about a MacPhisto action figure at 1:25:52, and reactions to the ZooTV encore at 1:41:51. Basking in Lemon – A Discussion of Zooropa – episode #44 of The @U2 Podcast, in which Chris Enns, Sherry Lawrence, Ian Ryan and Marylinn Maione discuss MacPhisto's unexpected 2016 TV appearance and his original influences (from 2:11 to 9:29). Later that week, Tassoula E. Kokkoris also commented on MacPhisto's "brilliant" return in the 'Off The Record...' column. Simply Bono – description and pics of MacPhisto. 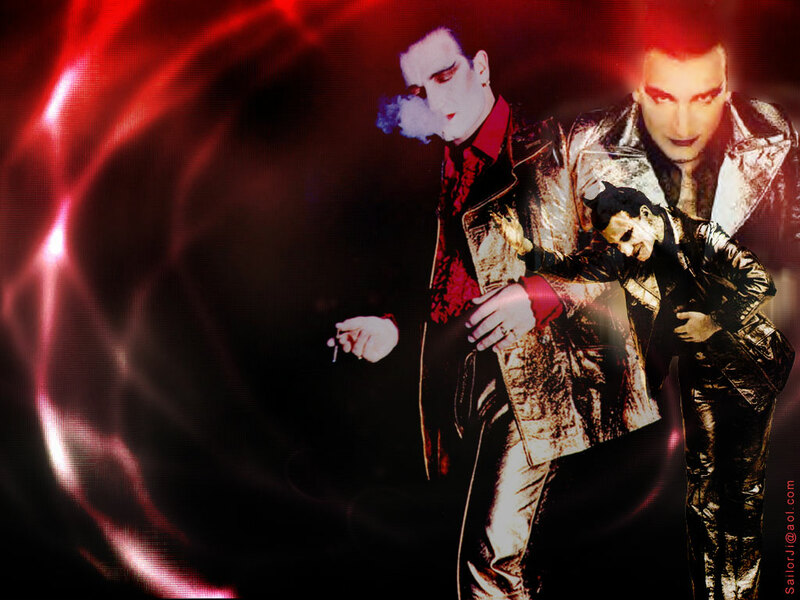 MacPhisto's Lair – a handful of images and quotes about Bono's devilish persona. U2360GRADI.IT – Italian fansite article with quotes about MacPhisto, pics, videos, and details of the Zooropa shows in Italy. 25 years ago today – U2 acknowledge the anniversary of MacPhisto's public debut on their official Instagram, Facebook and Twitter accounts! desert sky U2 screencaps – stills from U2 music videos, live performances and DVDs, including ZooTV Live From Sydney, Lemon and Hold Me Thrill Me Kiss Me Kill Me. The Unofficial U2 Image Archive [archived] – includes screencaps from the ZooTV Sydney video, Lemon and Hold Me Thrill Me Kiss Me Kill Me. MacPhisto Take Me Higher [archived] – two-page image gallery, plus more Lemon screencaps. U2 The Joshua Site – image gallery dedicated to Mr MacPhisto. U2: Atomic – more photos of MacPhisto. Supernova's Photobucket – photo collections including ZooTV Live From Sydney screencaps, MacPhisto and Two of a kind, plus Avatars. Ultraviolet U2 Fan Club Brazil – Facebook photo albums including Mr MacPhisto I, Mr MacPhisto II, Mr MacPhisto III, Mr MacPhisto IV, Mr MacPhisto 20 years special and Zooropa 20 years special. U2 Breathe – Facebook photo albums including Mr MacPhisto, Kevin Davies photography, Achtung Baby – Zooropa, Live from Rotterdam (10th May 1993), MacPhisto in Vatican and Jimmy Kimmel Live. They have also posted several videos with Italian subtitles: MacPhisto calls Alessandra Mussolini, MacPhisto introduces his band (Madrid), MacPhisto calls KLM Airlines, MacPhisto calls Helmut Kohl (Munich), and MacPhisto in Rome (from Naked City). bono TV – Facebook photo albums including Mr MacPhisto and Achtung Baby / ZooTV Tour / Zooropa. U2 – Acrobat live (U2gigs) – Derek O Mahony's screencaps of MacPhisto's speech and Acrobat on the opening night of the EI Tour in Tulsa, taken from a YouTube video by TheSittich. He has also uploaded screencaps of the St Louis speech and Acrobat (from a video by FANTIE) and the New York 1 speech (from U2's proshot video). U2 Exit [archived] – large U2 photo gallery including pics of MacPhisto. Bono's World [archived] – another MacPhisto image gallery. MacPhisto on Getty Images – pics of MacPhisto in the photo agency's archive. See also U2 1993. RockVizion Photo Archive – concert photography prints for sale, including MacPhisto images from Melbourne 1, Melbourne 2, Adelaide, Brisbane, Sydney 1 and Sydney 2. MacPhisto on Tumblr – posts tagged with MacPhisto on the microblogging website. See also Mr MacPhisto, Mr. MacPhisto and Mister MacPhisto. You've made me very famous.. – a Tumblr blog dedicated to the "wonderfully absurd" Mr MacPhisto. MacPhisto on Instagram – posts tagged with MacPhisto on the photo-sharing website. See also MrMacPhisto. MacPhisto on Photobucket – browse MacPhisto pictures on the image hosting website. GIFSoup.com – animated MacPhisto GIFs created from YouTube videos. GIPHY – more animated GIFs. Sydney speech animated GIFs – created by Tumblr user María José. Sydney Love Is Blindness animated GIFs – created by Tumblr user Leticia. Animated Mr MacPhisto telephone graphic – created by Tumblr user Marta. MacPhisto 2016 graphic – created by visual designer Gina Cloe (@cloecreative) and prophetically tweeted 6 weeks before his comeback, with the hashtags #OnWithTheHorns #MacPhisto2016! She has also shared a lower contrast version, a new design featuring his updated suit and make-up from the (RED) special, a further variation celebrating his possible return on the EI Tour in 2018, and an Acrobat graphic for his introduction to the song's debut live performance. 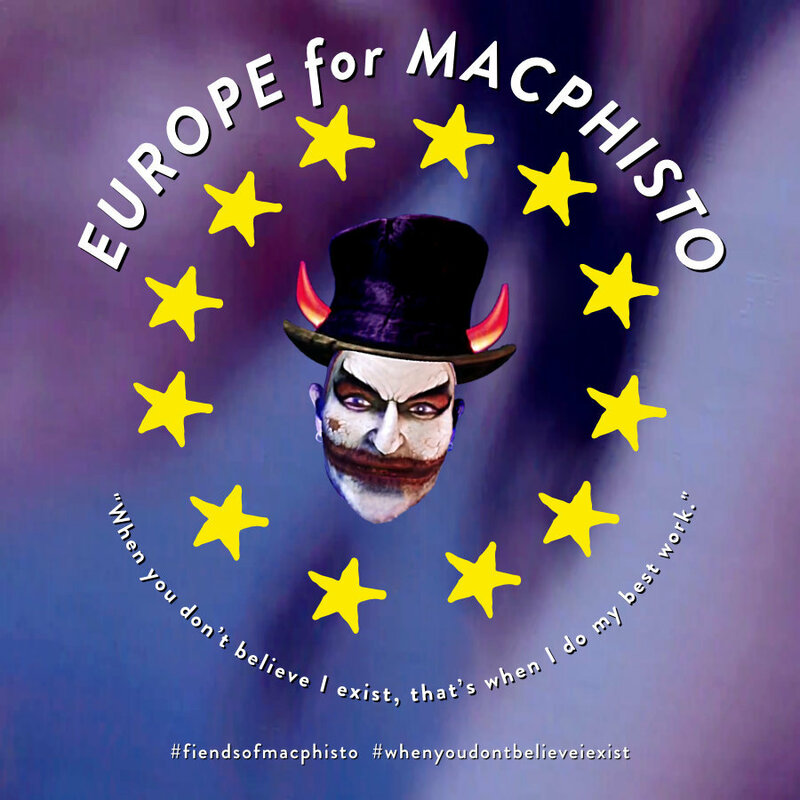 Europe for MacPhisto graphic – created by Zootopia forum moderator Max Tsukino during the EI Tour. U2 – Vision Over Visibility – Facebook photo albums including Bono? Nope, That's Mr. MacPhisto!, That's Mr. MacPhisto II, ZooTV, ZooTV II, ZooTV Tour – Rotterdam (10th May 1993), The Fly / MacPhisto – Rome & Vatican, ZooTV Tour – London (11th August 1993), ZooTV Tour – London (20th August 1993), ZooTV Tour – Dublin and Jimmy Kimmel Live. Their WordPress blog offers wallpapers by Ricardo Rocha, featuring Bono's ZooTV personas The Fly, Mr MacPhisto and the Mirrorball Man. Cult Of MacPhisto [archived] – thoughts, humour, images and wallpaper previews. 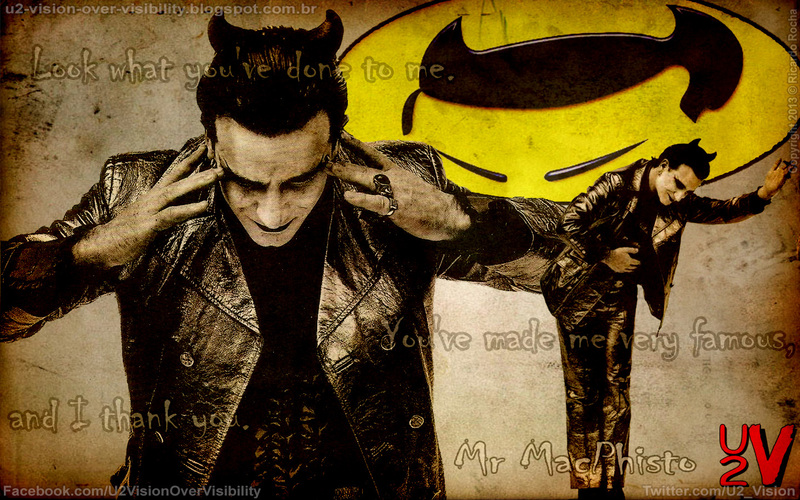 Cris Dodson's MacPhisto wallpaper was available in different sizes on @U2 (800x600, 1024x768, 1280x1024). U2 Wallpapers – stunning wallpapers by Nátaly Villaça Schiavon, including MacPhisto 1, BELIEVE (three ZooTV personas) and MacPhisto 2. The U2 Mansion: Goodies [archived] – U2 wallpapers by Sergio Molina, including Mr MacPhisto (800x600, 1024x768) and the BatPhisto logo (800x600, 1024x768). Max's music wallpapers – many wallpapers featuring U2 and other artists, created by Interference.com forum member Max_theHitman. These include a 'ZooTV' smoking MacPhisto design with red, blue or grey background, 'ZooTV' The Fly & MacPhisto, 'U2: Everything you know is wrong', MacPhisto through broken glass, MacPhisto singing Desire, Lemon video screencaps, and 'Lemon: See through in the sunlight' (1024x768, 1280x960). Bliss Wallpapers – three different MacPhisto wallpapers (and one of Bono). Jogi's U2 wallpapers – created by U2 aCRObat forum member Jogi (a.k.a. Marin Zdelar), including MacPhisto and So Cruel. Studio73.ca [archived] – music-themed desktop wallpapers including MacPhisto in the Lemon video and the Hold Me Thrill Me Kiss Me Kill Me video. Clad63 Artwork – Mister MacPhisto background by Régis Berchet. Interference.com Multimedia [archived] – U2 wallpapers including MacPhisto by SailorJi (also available here). MacPhisto 'Achtung Baby' wallpaper – created by Interference.com forum member Slipstream. MacPhisto wallpaper – created by Interference.com forum member venus. Also available on Tumblr, along with a graphic of MacPhisto & The Fly featuring Acrobat lyrics. 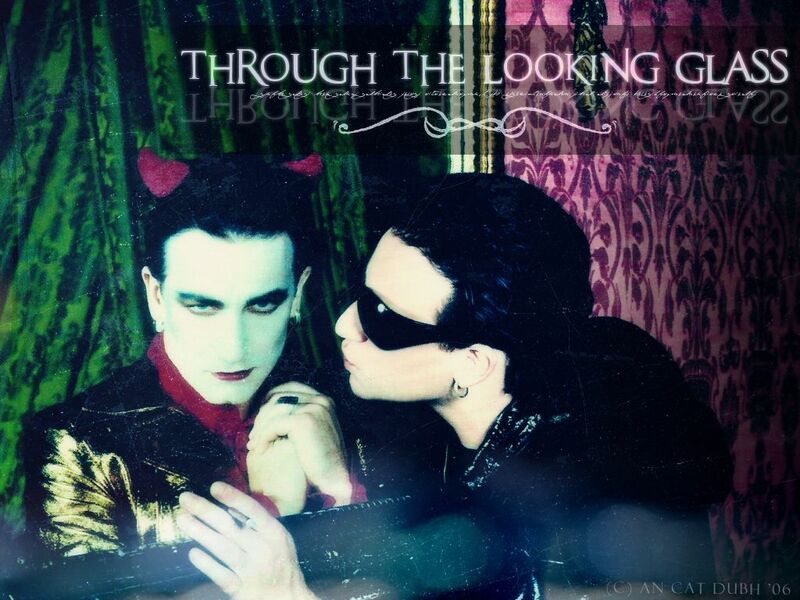 An Cat Dubh [archived] – a collection of beautiful U2 wallpapers by Minya, including a U2 montage, MacPhisto (+ version 2), Through The Looking Glass (MacPhisto & The Fly), Lemon and Hold Me Thrill Me Kiss Me Kill Me. Smoke and Mirrors – The Fly & MacPhisto wallpaper by Andrea Johnson (firieth_sidhe). 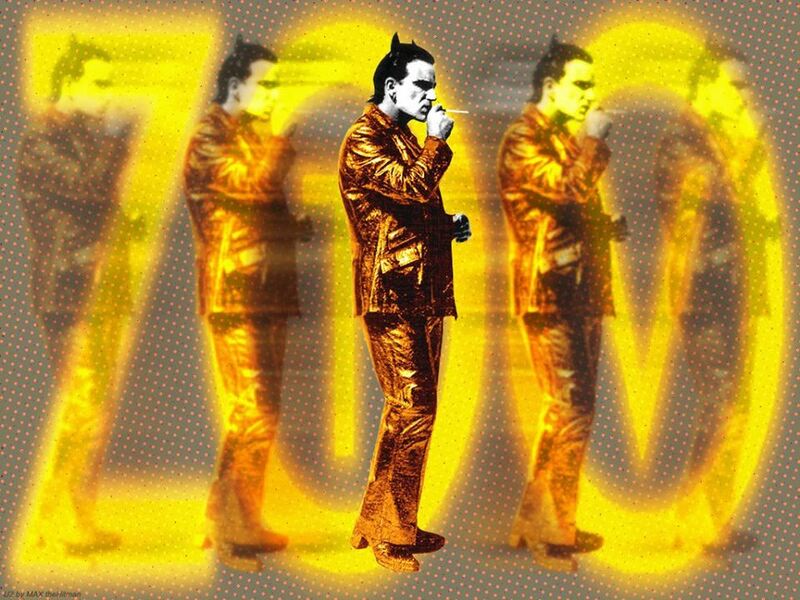 @U2 Desktop Images and Wallpaper [archived] – ZooTV era wallpapers, including MacPhisto & Adam (800x600, 1024x768, 1280x1024). 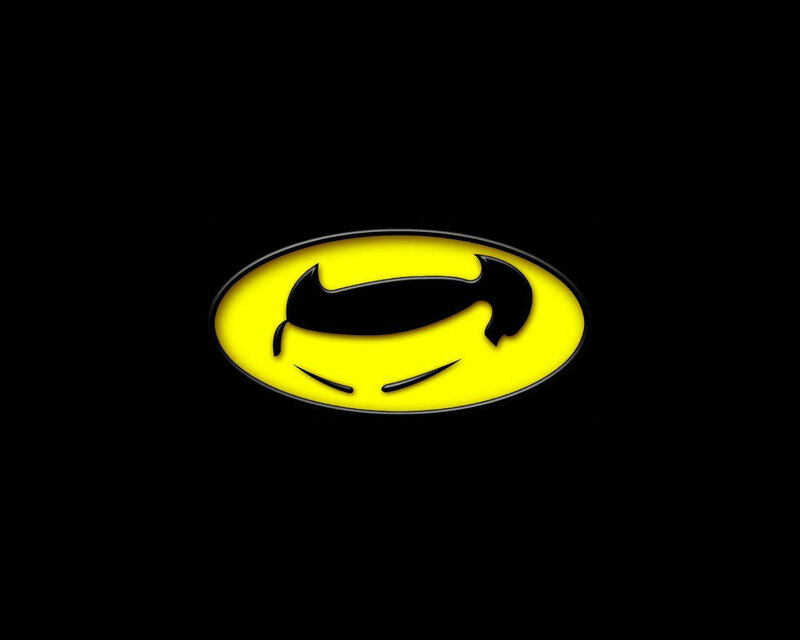 U2 // Catalunya – wallpapers collected from around the Internet, including the BatPhisto logo. 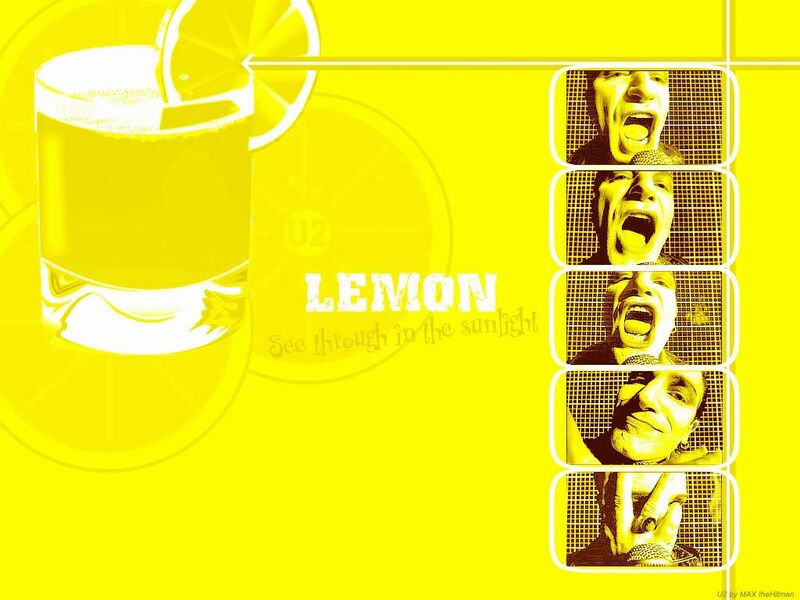 POP LEMON.COM – U2 wallpapers by millo, including cartoon The Fly & MacPhisto from the Hold Me Thrill Me Kiss Me Kill Me video. runtotheocean.net [archived] – U2 wallpapers by Jackie Sullivan, including cartoon MacPhisto from the Hold Me Thrill Me Kiss Me Kill Me video (800x600, 1024x768). She has also created some LiveJournal icons of MacPhisto. Icons By Echo [archived] – U2-themed LiveJournal userpics with a section devoted to MacPhisto. There are also some amusing ones under U2 Image Macros at The Blender. On The Fringe [archived] – more U2 icons including a few of MacPhisto. MacPhisto LJ Mood Theme – I know you like your LiveJournal entries to be exciting, so I made this. Now MacPhisto can illustrate your every mood! 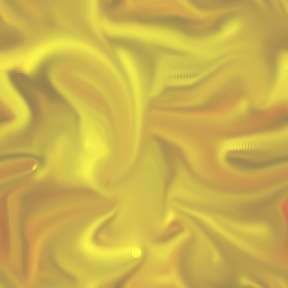 MacPhisto's Den – LiveJournal community for sharing pictures and tales of the devil in gold lamé. @U2 Forum: MacPhisto Worship Thread – as of 2015, MacPhisto has a dedicated thread on the popular discussion forum. U2place.com Forum: Is There A Dermatologist In The House? – Italian forum thread created during the EI Tour to discuss and share photos & videos of MacPhisto. U2start.com Forums: Mr MacPhisto – another forum thread started in 2018. Please show him some love! Naughty Pop Star [archived] – a MacPhisto fanlisting. Off With The Horns [archived] – another MacPhisto fanlisting, with images, MP3s and a transcript of his Sydney speech. Twitter hashtag #macphisto – the latest tweets discussing MacPhisto. Facebook hashtag #macphisto – posts tagged with MacPhisto on the social networking website. Kelly Eddington Art Prints – buy prints of Kelly's watercolour artwork, including Mr MacPhisto from the Lemon video, Adam with a gleeful MacPhisto from the Zooropa Tour, and Edge as a scientist with tiny Bono and MacPhisto as his lab assistants. Casey Parris: Pop Star – this watercolour painting of Mr MacPhisto is among the artwork for sale on Casey's website. U2Spain T-shirts – a variety of U2 T-shirts for sale, including five different MacPhisto designs (2 x Lemon, 2 x Hold Me Thrill Me Kiss Me Kill Me, and his 2018 avatar with Acrobat lyrics). Redbubble – buy clothing and assorted merchandise featuring pics of MacPhisto. MacPhisto's Place [archived] – contains a history of the character, a transcript of his Sydney speech and some images. Worth visiting just to hear the awesome Lemon MIDI on the front page! MacPhisto photo filter – instructions on how to use the AR filter from the Experience + Innocence Tour in your Facebook app. Bono as Mr MacPhisto – a fabulous portrait by Steph Laberis. The X Files: A Waltz With The Devil [archived] – amazing fanfic by Taylor Nelson, pitting MacPhisto against Mulder & Scully. MacPhisto has to be seen in action to be fully appreciated, and there are a number of video clips available on YouTube and similar sites. Please let me know if you find any more! This is the show that was filmed for the ZooTV Live From Sydney video, which is now available on DVD and is an absolutely essential item for every fan's collection. Nothing beats watching the whole show uninterrupted, but there are also clips on YouTube if you're looking for a taster or quick viewing. 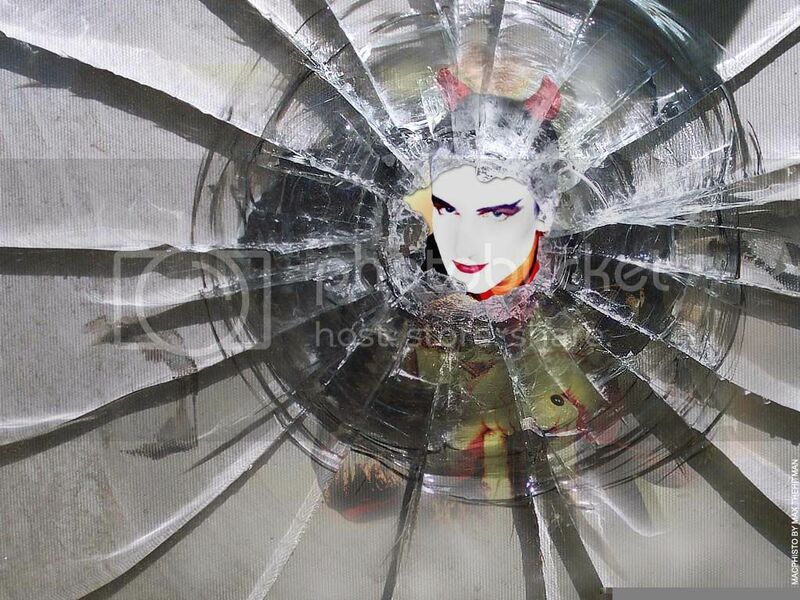 Part of Daddy's Gonna Pay For Your Crashed Car (with Dubinushka intro) – as viewed through a kaleidoscope! Excellent proshot footage from another show on the Zoomerang tour. Very nice proshot footage from the Zooropa tour. Proshot footage from the Zooropa tour, included as an easter egg with the 20th anniversary release of Achtung Baby (Super and Uber Deluxe editions). Bootleg video, filmed from Adam's side of the stage. MacPhisto makes his public debut in a heavy rainstorm on the opening night of the Zooropa tour. Bootleg video, filmed from Adam's side of the stage. Bootleg video, filmed from the back of the stadium. Bootleg video, filmed from Edge's side of the stage. Bootleg video, filmed from two different camera angles. Bootleg video, filmed quite close up from Adam's side of the stage. End of phone call to Luciano Pavarotti / Ultra Violet (Light My Way) / With Or Without You – MacPhisto slow-dances with the tech who fixes his microphone, and sweeps a girl off her feet! Bootleg video, filmed from the pitch section. The last show of the Zooropa summer tour. Bootleg footage, but mostly follows the action on the big screens so there are some nice close-ups. Bootleg video from the Zoomerang leg of the tour, filmed from the pitch section. Bootleg video, filmed from Adam's Stuart's side of the stage! Final show of the ZooTV tour. Bootleg recording. Bootleg recording of a rehearsal for the Experience + Innocence tour. MacPhisto returns (with a new face!) on the opening night of the Experience + Innocence tour. Bootleg videos. Proshot footage from the Experience + Innocence tour, as seen on U2.com and the band's official social media accounts. The last show of the North American leg. Bootleg videos. First European show of the EI Tour. Bootleg videos. Proshot footage from the Experience + Innocence tour, as seen on the band's official social media accounts. Final show of the Experience + Innocence tour. Bootleg videos. Lemon – promo video for the Lemon single, "a study of MacPhisto in motion". Lemon (Bad Yard Club Mix) – a rare remix video with extra footage. Lemon (Bad Yard Club Mix) – alternative link, better quality but missing the first 14 seconds. Hold Me Thrill Me Kiss Me Kill Me – promo video for the HMTMKMKM single, featuring MacPhisto as an animated Batman villain doing battle with The Fly. Hold Me Thrill Me Kiss Me Kill Me – alternative link. I've Got You Under My Skin – promo video for Bono's duet with Frank Sinatra, including brief shots of MacPhisto amongst the concert footage. I've Got You Under My Skin – alternative link. Achtung Baby Easter Eggs – four MacPhisto clips hidden on the Bonus Material DVD in the Super and Uber Deluxe editions of Achtung Baby (20th anniversary release). These are his speech and phone call to Alessandra Mussolini in Bologna, his band introductions in Madrid, his phone call to KLM in Rotterdam, and his phone call to Helmut Kohl in Munich. U2 on Naked City – 17 minute feature on a UK television show aired on 6th August 1993, about ZooTV and the band's relationship with the British media. Includes an exclusive video message from MacPhisto paraphrasing Brendan Kennelly's The Book of Judas (5:30), his band introductions in Madrid (6:17), rare video footage of him visiting the Vatican and posing by the mirror in the Hotel Majestic (11:13), a clip of Desire from the second Bologna show (13:13), his phone call to Alessandra Mussolini in Bologna (13:36), clips of Ultra Violet from Turin (14:47 and 16:12), and MacPhisto quoting Louis XV and singing along with Dubinushka (16:31). This can be found on the Bonus Material DVD in the Super and Uber Deluxe editions of Achtung Baby (20th anniversary release). U2 on Naked City – same feature with Spanish subtitles. U2 on Naked City – with band interviews and presenter commentary edited out, and English subtitles added. U2 in Tokyo (Part 1) – an end-of-tour interview with the band for Canadian television, interspersed with video clips. Includes MacPhisto singing part of Ultra Violet (Light My Way), a composite of Turin and the first Bologna show. U2 in Tokyo (Part 2) – contains more live footage of Ultra Violet (Light My Way), this time combining Turin and the second Bologna show, as well as clips from the Lemon and I've Got You Under My Skin videos. Ultra Violet (Light My Way) – just the performance clips from 'U2 in Tokyo' edited together. A Fistful of ZooTV (Part 1) – documentary which can be found as an extra on the ZooTV Live From Sydney DVD. MacPhisto appears at 1:43 and 1:56, leaving a message for Alessandra Mussolini during the Bologna show on 18th July 1993. A Fistful of ZooTV (Part 2) – further clips of MacPhisto at 0:17, making phone calls to KLM and Queen Beatrix in Rotterdam, Helmut Kohl in Munich, and Pavarotti in Bologna. A Fistful of ZooTV – same documentary with Portuguese subtitles. A Fistful of ZooTV – same documentary with Spanish subtitles. MacPhisto's phone calls – a compilation of all the clips on the ZooTV Live From Sydney DVD (phoning for a taxi during the concert, plus the various clips from A Fistful of ZooTV). 'Bono is MacPhisto' ZooTV trailer – features a compilation of MacPhisto speech and phone call clips taken from Sydney, Bologna, Rotterdam and Munich. Holmes – a New Zealand news and current affairs show promotes the upcoming ZooTV concerts with an interview recorded in Brisbane. Includes a clip of the phone call to KLM at 4:23, with reporter Tsehai Tiffin suggesting that MacPhisto call the programme's main presenter, Paul Holmes! Zooropa New Album Promo – film distributed by Island/Polygram in May 1993. Includes about 55 seconds of MacPhisto footage believed to be from Lisbon, with clips of him performing Ultra Violet and Desire. Zooropa Italian TV Promo – the same footage used to advertise the Italian tour dates. Interview with Adam Clayton and The Edge – the third part of an interview about the Zooropa album. Includes about 45 seconds of MacPhisto footage believed to be from Lisbon, with clips of him performing Ultra Violet and Desire. Salman Rushdie And The Ground Beneath His Feet – the fourth part of an interview with Bono on the BBC documentary series Arena, broadcast on 22nd April 1999, in which he discusses how U2 explored the theme of celebrity in the '90s. Includes a clip of MacPhisto's encounter with Salman Rushdie at Wembley on 11th August 1993. MTV Europe Zooropa Newsclip – MacPhisto content starts at 1:50. Includes Adam, Edge and Bono talking about him, a number of clips from the Sydney video, and footage of Salman Rushdie onstage with MacPhisto at Wembley. RTÉ Archives: Salman Rushdie on Stage with U2 – James Forlong reports on the ZooTV tour after the first Wembley show. Includes another clip of MacPhisto with Salman Rushdie. We're Going To Hell – MacPhisto makes a surprise return on the Jimmy Kimmel Live! (RED) Special, 22nd November 2016. This Christmas song with a twist is credited to The (RED) Pack (Jimmy Kimmel, Kristen Bell, Halsey, Neil Patrick Harris, DJ Khaled, The Killers, Julia Roberts and Channing Tatum), with MacPhisto making his grand entrance at 4:15. We're Going To Hell – edited version, only including MacPhisto's part of the song. Elvis Lives (part 1) – Bono participated in this 2002 tribute programme, speaking about the King's influence on MacPhisto at 13:29 (continued in part 2). Clips of MacPhisto and Elvis performing Can't Help Falling In Love are included for comparison. The History Mix – U2 '90s montage taken from the bonus DVD that came with The Best Of 1990-2000. There are several brief clips of MacPhisto from the Lemon video and ZooTV concerts, including a voiceover taken from his speech in Madrid. Zoomerang Commercial – advertisement for the Australian leg of the ZooTV tour in November 1993 (originally included on local pressings of the Numb single). Watch out for a couple of MacPhisto clips toward the end. Making of Zooropa '93 – the second part of a Spanish documentary going behind the scenes of the ZooTV tour, featuring Willie Williams' guide to the stage setup and interviews with crew members. Includes a soundcheck of MacPhisto's telephone (9:09) and a peek inside his dressing room (10:32). Subscribers Special: 'The truth is dead...' – behind-the-scenes video in which digital specialist Dalton Tyler explains "how Mr MacPhisto comes to life every night" with the help of a magic mirror on the EI Tour. Includes footage of his speech at the second Los Angeles show. Spark AR Studio from Facebook – promotional video featuring designer Marc Wakefield, with brief clips of MacPhisto on the EI Tour at 1:14. Mr MacPhisto Evolution – video clips and photographs from throughout MacPhisto's career, including parts of the Hold Me Thrill Me Kiss Me Kill Me video, the Achtung Baby Easter Eggs, the Sydney DVD, and the first New York show on the EI Tour. Mr MacPhisto 1993 vs 2018 – clips of MacPhisto's speeches at the second Sydney show on ZooTV and the first Milan show on the EI Tour. With Or Without You – a journey through history – compilation of renditions from each tour, including MacPhisto's performance in Adelaide. U2 ZooTV Trailer – video montage from the Sydney DVD, which includes part of With Or Without You. U2 – Egos and Icons '97 – part 5 of this MuchMusic documentary includes clips from the Lemon and Hold Me Thrill Me Kiss Me Kill Me videos. U2 Acrobat (Unofficial) – fan-made music video blending footage from the Achtung Baby / ZooTV era and the Experience + Innocence tour (including some MacPhisto clips), set to a live performance of Acrobat from the second San Jose show. MacPhisto Coming Soon – a really cool fan-made trailer using audio clips of MacPhisto from a number of different shows. I love this!